Also known by the epithet the ‘Pink City’, Jaipur is the capital city of the Rajputana state. For very long, Kings have ruled these lands. Today, their lapsed palaces and forts have turned to 5 star hotels and tourist attraction spots, and their battles are just pages in a history book. The city that once boasted unprecedented royalty now relies on tourism, agriculture, and mining. In 1876, when the Prince of Wales and Queen Victoria visited India, Maharaja Ram Singh of Jaipur painted the entire city Pink in their honour as it represents hospitality. Today, it gave Jaipur its unique identity and the government continues this practice to manifest the rich cultural heritage it was once bestowed with. The extravagant lifestyle of the Kings resulted in several architectural epitomes like the Amer Fort, Hawa Mahal, City Palace, Jantar Mantar, etc. that attract tourists from across the world. However, the city does not home gigantic monuments and forts only, there are plenty of things to do besides that. Immerse yourself into the cultural highness of the princely state. 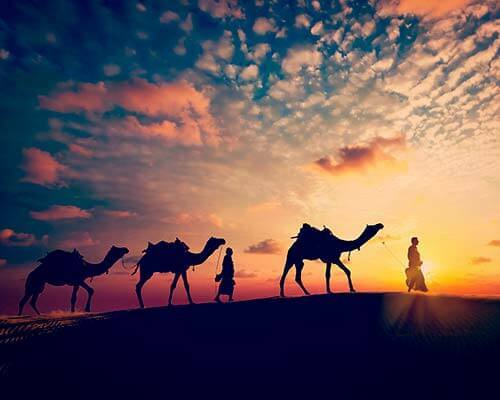 Explore the offbeat things to do in Jaipur and discover its untold tales. Jaipur is one of the best handicraft producers. The entire market is adorned with enticing handicrafts. They include colourful, imprinted and embroidered traditional handicrafts in the shape of statues and other decorative items. Also, the art culture of Jaipur has immensely impacted the sector that lead to the manufacturing of creative and detailed handicrafts. Available at affordable rates, these gemstones include turquoise, emerald, and sapphire that are found at every corner of the city. The princely city is surrounded by villages on the outskirts. These villages are the main source of the exquisite handicrafts that are sold in the Jaipur markets. Away from all the commotions of the hoi polloi, the quaint village, Rusirani village, is one of the most beautiful destinations near Jaipur bestowed with a scenic landscape. Get out of your usual routine and explore the humble villages that pervade a unique and vibrant aura. Jaipur is a paradise for foodies. Their cuisine includes exotic dishes like Dal-batti-churma, Mawa Kachori, Mirchi Bada, Ghewar, and many more. Besides that, the mouth-watering ‘Lal Maas’ is one of the most coveted dishes among meat-lovers. You can visit a few renowned restaurants like Niros or Murli ke paan to gorge on some traditional culinary delights. However, if you are craving from something healthier, try the cafes that offer good food at affordable rates. Anokhi Café and Dzurt Patisserie and Café are among the honourable mentions. 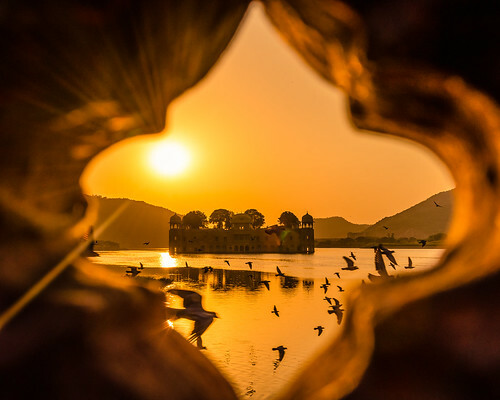 The Jal Mahal is the quintessential example of brilliant architectural designs. The palace stands amidst the Mansagar Lake and delineates an amalgamation of the Rajputana and Mughal architectural designs. It is a true prodigy that was built for the royal families to relax during the summer seasons. Today, it is one of the finest luxury hotels in Jaipur. Visit during the sunset time and watch the sun slowly changing hues and setting behind the palace offering a surreal and scenic view. While you are in Jaipur, experiencing the royal lifestyle of the ‘Land of the Kings’ is indispensable. The Tree of Life Resort & Spa is one of the best resorts in Jaipur. 30 minutes far from the bustling city, it is located away from all the commotions of the urban city. It boasts a tranquil and serene environment and offers solace that you have been longing for. Amidst the Aravalli hills, this beautiful resort homes 13 luxury villas that are spread over 7 acres of land. The resort also accommodates an amazing pool where you spend your evenings sipping on cocktails, and a revitalizing spa that relaxes the body and refreshes the mind. Remember that a visit to Jaipur will be incomplete without experiencing the royal and extravagant lifestyle of the Rajputana Kings. Why One Should Prefer Hotel Accommodation In Kent Island?